Ahead of National Apprenticeship Week (March 14-18), Farmers Guardian takes a look at how apprenticeships can be an option to launch a career in agriculture. It's #NationalApprenticeshipWeek and we have all the info you need to get started in ag! Not everybody wants to study full-time. Some prefer a more practical avenue of work and others are not as keen to pursue classroom academia. Below we take a look at the facts and how taking on an apprenticeship can broaden your skills, even if you already work on a family farm or have the initial basics already there. 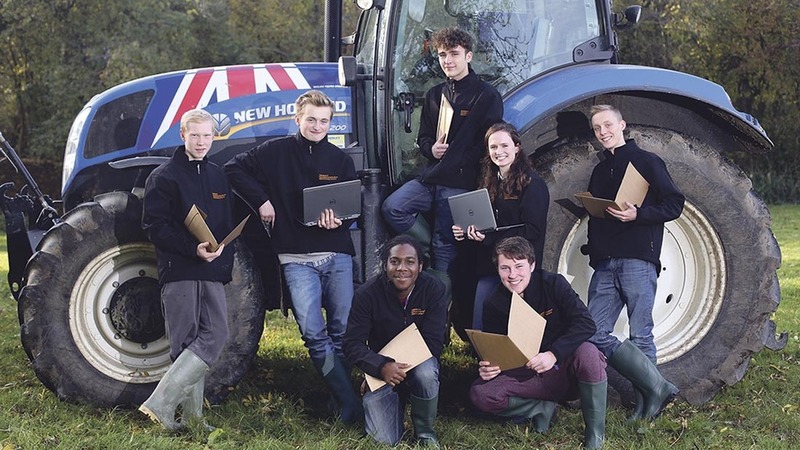 In November last year, Sainsbury’s launched its first farming and horticulture apprenticeship scheme and took on seven individuals who will graduate in 2017. Another seven are on the horticultural programme and will graduate this summer. The retailer’s move was prompted by research which revealed the UK farming industry will need 60,000 new employees by 2020 just to replace retiring farmers, as fewer young people have entered the profession in recent years. Apprentices complete a number of work placements and are rotated across farms every 12 weeks to learn about different types of farming. On completion, they are awarded a level 2 City and Guilds work-based diploma in agriculture or horticulture. Lizzie Brass is from a family poultry and packing farm, Cumbria, and she says she applied for the apprenticeship to broaden her experience and make new contacts. Here she tells us of her experience to date. “On-farm, I look after chickens and collect the eggs. I also maintain sheds and machines we use. I am learning about the admin side of chickens, which is a real eye-opener. “We have free-range and organic chickens, which involves more organisation than just a free-range farm, as they have to be given different feeds and medications. “The apprenticeship means I can learn from people who are knowledgeable about the industry. “Experience is important, but if you have a poor understanding of the industry you are in, you can never meet your full potential. The apprenticeship is allowing me to meet people who are keen to share their knowledge. “As we have both poultry and dairy in our apprenticeship group, there are different practicalities about our industries to consider. “So far, everyone has been really co-operative and problems are always easily solved. Seen as it's #NationalApprenticeshipWeek we want to hear from you! Did you do one/thinking of doing one? Is apprenticeship info out there?